Ooo, I have been neglecting this site. It's not that my Post Mat ideals have changed, I just don't seem to have much time to write my thoughts down. 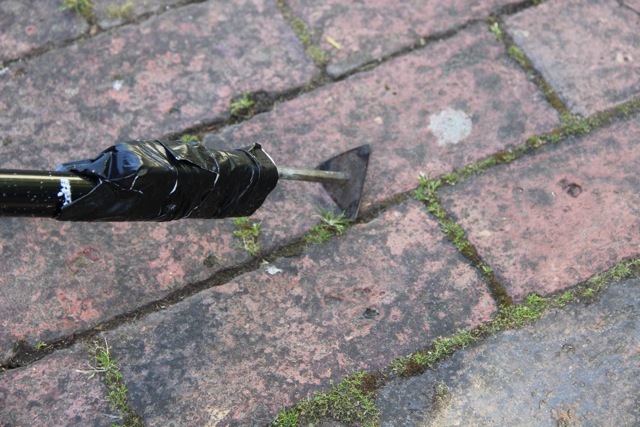 Here's a saving post featuring Penny's brilliant gizmo for getting weeds out from between slabs/bricks — a knee knackering job. Broom handle or similar stick, old paint stripping tool and gaffer tape and NO weed killer. Yey.